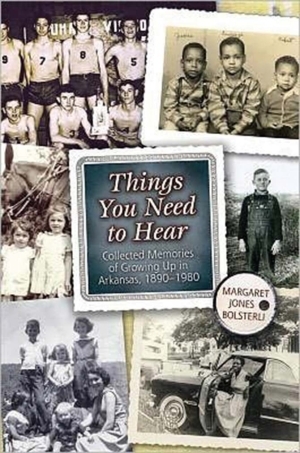 Margaret Bolsterli’s Things You Need to Hear: Collected Memories of Growing up in Arkansas, 1890-1980, published by the University of Arkansas Press, gathers memories from Arkansans of a wide variety of backgrounds. Bolsterli includes the famous – Johnny Cash, Maya Angelou, Levon Helm and Jocelyn Elders – as well as everyday people. Interviewees reminisce about daily life in the early 20th century and how they got by in difficult times.